If you’re an out-of-work attorney, the good news is that the Equal Employment Opportunity Commission (EEOC) is on a hiring binge. The EEOC’s Web site also indicates the agency is recruiting for investigators to handle employment discrimination complaints. Of course, mediators, administrative support, managers, and IT personnel are also in demand. That means federal employment discrimination complaints are sky-high — a sad commentary for businesses and public agencies that are large enough for a human resources department. This portal has received complaints that HR departments appear to be supporting and implementing such retaliation. Employees ask for ideas on how to deal with abusive employers in both the private and public sectors. State courts across the nation are also filled with discrimination cases, too, because complainants want to avoid the federal caps on monetary damages. Historically, high-profile harassment cases are a catalyst for additional complaints by other workers. EEOC cases also lead to declining morale, retention problems and poor productivity, which are also costly. While a federal-agency investigation doesn’t necessarily indicate a company is guilty of discrimination, it’s a serious situation and there are several measures that will insure success. The first step in fighting lawsuit abuse is risk management. Veteran managers are often guilty and so are new managers who need to learn the right strategies to succeed. 1. Get a mentor and join your local chamber of commerce. 2. Consider outsourcing your payroll. 3. Implement benefits and retirement plans. 4. Create a policy and procedures handbook (job descriptions, hiring, appraisals, compensation, firing and operations). 5. Stay aware of all employment laws. For larger companies, every company’s situation is different, but in general there are 13 basics to avoid EEOC headaches. In my experience, it’s important to learn how and why complaints are filed, and to treat employees with respect and confidentiality. Law firms have asked my company to help their clients after U.S. District Court actions. In one case, I was asked to implement a wage and compensation plan after a trucking firm inadvertently violated federal laws. A well-meaning technology employer was fined for comments in an inappropriate interview-process and I was asked to conduct sexual harassment training. Both companies were heavily fined and their lawyers cost even more. One company is no longer in business. So, it’s vital to know the proactive steps to eliminate workplace discrimination and harassment, and the practical benefits to you of equal opportunities for employees. The key is to start where the proverbial tire meets the road – when employees are hired. 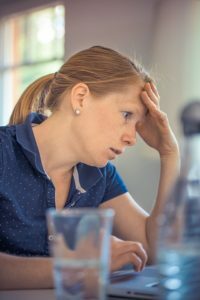 For larger companies, every company’s situation is different, but in general there are 13 basics to avoid EEOC headaches … it’s important to learn how and why complaints are filed, and to treat employees with respect and confidentiality. Fully understand the required skillsets. Naturally, first decide what each job requires. When a person leaves, decide what additional qualities you want in the job description. While experience and skills are an important consideration for meeting your requirements, there are several other considerations including hiring for attitude and professional appearance and aptitude for teamwork and customer service. Review your application process. The appearance of discrimination can be unfortunate opportunities for applicants or the EEOC to file complaints regarding your hiring decisions. Review your interview checklist questions and employment applications so that you only inquire about applicants’ talent for the job and availability for attendance according to your required work hours. When anyone requests an application stay safe by providing it, but don’t do it selectively to avoid the appearance of discrimination. Don’t set deadlines for applicants to apply unless you strictly adhere to them. Interviewing. When you interview, ask open-ended questions to get the applicant to talk about any issues related to the job. Closed-ended answers in which an applicant answers with a “yes” or “no” won’t be productive. You’ll want to know about the person’s attitudes, expectations and values. A skilled interviewer is careful about commenting on an applicant’s answers. Background checks. A background check is critical. If you ask questions of a reference or former employer, make certain to take the same precautions as you do with the applicant. If you utilize credit reports, adhere to the provisos in the Fair Credit Reporting Act. Making an offer. Put your offer in writing to successful applicants, but stipulate that you’re an at-will employer. State the salary in weekly or monthly amounts – so that longtime employment tenure is not implied – and whether there are any contingencies, such pre-employment medical exams. Hopefully, you have highly trained interviewers, but make clear that the letter is your company’s last word in employment and that it supersedes any other representations by interviewers. Drug testing is often valuable for screening purposes. Applicants with a drug history will sometimes withdraw their applications, but the test is effective for those who don’t. In my experience, drug users are the most dishonest employees – at a much higher rate than even alcoholics. Insuring success. Make full use of your probationary period. Assuming an employee adequately demonstrates technical skills, remember the No. 1 employer-complaint about new hires is their lack of soft skills – a poor attitude and inability to communicate effectively with coworkers and customers. Appraise them accordingly. Employee handbook. For legal and productivity reasons, the employee handbook should be utilized to inform employees of your expectations. But clearly state a disclaimer – it’s not an employment contract – employment is conditional. Either party may terminate without cause or notice. Preferably, employees will be given an acknowledgment form regarding their at-will employment status. The handbook should include policies such as attendance, benefits, vacation, employee-monitoring systems, probationary periods, sick leave, and FMLA (family and medical leave, if you employ 50 or more workers). Make clear the company will not tolerate harassment and the procedures for reporting it. Remember, employers are liable for behavior of their employees. Should harassment allegations be raised by an employee, be sure to follow through with an immediate investigation and discipline, if proven, and don’t tolerate retaliation. Sexual harassment training, in particular, should be regularly given. Avoid favoritism. Be consistent make sure of adherence to policies. Be proactive about workplace complaints. Do not avoid taking action. Make sure you are actively listening. Safety counts. Be empathetic and show respect. Be safety conscious. Wage and hour practices. Stay current with all state and federal wage and hour laws and regulations. Some companies have run into trouble because their hourly employees are working longer hours as exempt managers and not paid for overtime. Carefully document your records. Of course, try to be competitive in pay and benefits. Continuous policy training. To insure success, make certain managers, human resource interviewers and workers are knowledgeable about your business policies. You’ll be in a better position to prevent harassment, hire correctly and appraise employees accurately. You’ll also be in a stronger position, if you do encounter the threat of litigation. Stay on top of all details, but also be mindful of the protected classes of workers to avoid federal intervention. Evaluations and terminations. Supervisors and managers must be schooled in worker behavior, performance and if necessary, terminations. Not to oversimplify, but remember every employee is entitled to know three things: What’s expected; what’s in it for them; and how they’re doing. Make certain that terminated employees can’t conclude they’re being let go for reasons of discrimination. Again, that means documentation and thorough footwork. These minimal reminders will help you to avoid employment and EEOC traps. However, if you do find yourself in the EEOC crosshairs, be careful how you respond in crafting your position. This portal’s HR section has countless other management tips.